The Architecture and Engineering Design Support Centre (AEDSC) was founded in March 1997. Its first Managing Board was endorsed in November 1997; and its Third board, currently in office was formulated in October 2003. The Architecture and Engineering Design Support Centre (AEDSC) enjoys the extensive experience of the faculty of the Department of Architecture, Faculty of Engineering, Cairo University and the immediate support of selected faculties from other departments in the Faculty of Engineering, Cairo University; who collectively combine distinguished professional and academic experience; as well as the support of key specialists in the realms of humanities, economics, horticulture…etc., from the various Faculties of Cairo University. – The provision of specialized professional consultations in the realms of Integrated Architectural, Urban Design & Planning and Environmental Studies. – Co-operation with, and provision of support services for the construction industry, governmental and non-government organisations and institutions (local and regional) in the areas of: Urban and Rural, Touristic and Environmental Development. – Formulation and development of Architectural, Urban and Environmental Databases; and its integration into Architectural, Urban and Development Studies and Design. – Undertaking comprehensive applied research studies in the realms of: Architectural, Environmental Urban & Rural Design and Development. – Organisation & Operation of training programmes, courses and symposia for architects, engineers, planners and interested personnel from closely related specialisations. Development Studies, Integrated Architectural & Engineering Studies, Preparation of Construction & Tender Documents, Building Science & Technology, Environmental Design & Planning, Energy Conservation, Site Planning & Landscaping, Urban renewal & Upgrading, Architectural & Urban Conservation, Urban Design, Housing, Architectural & Urban Computer Aided Design, Assets & Real State Assessment & Evaluation. Professor of Urban Design, Dept. of Architecture. Associate Professor, Dept. of Architecture. Address: Department of Architecture Building #3, Floor #5, Faculty of Engineering Cairo University, Giza, Egypt. – The preparation of the Master Plan for the campus, emphasizing: circulation network for cars and pedestrians, student’s plazas, landscaping and lighting. – The New ElSawi and Department of Computers Complex. – Design proposals for the underground car park under the external car parking lot. – The Engineering Central Library Building. – The Main Lecture theatre Department of Mechanical Engineering. – The renovation of the facades of Car Mechanics Building. – Landscaping of the exterior spaces in the vicinity of the Centre for Advanced Software Development. – Evaluation of the consultants to participate in the limited competition for the design of the new institute of Electronics, Ministry of Higher Education and Scientific Research. – Proposals for the Master Plan for the New Campus of Cairo University, 26 July Axis, 6 October New City. – A Variety of Architecture & Engineering consultations for the “Eastern” Company, Giza. – Post Occupancy evaluation of the Exhibition complex, The Conference Centre, Nasr City, Cairo. – Organization of seven Training Programmes in Computer Aided Architectural Design. 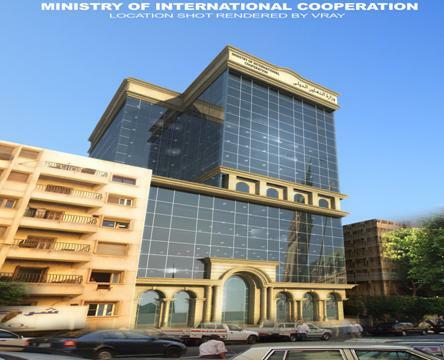 – The rehabilitation of the existing building and the development of the new complex for The Nile Water Sector, The Ministry of Irrigation and Water Resources, Nasr City, Cairo. 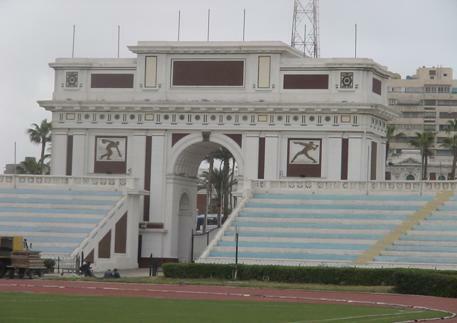 – Short and Medium term Master Plan and Development Control Guidelines, Cairo University main campus and existing Faculties’ Sites: Engineering, Medicine, Agriculture, Veterinary Medicine. – The European community Sponsored Joint Applied research Project of Heritage Conservation and Management of Conservation Projects in Egypt & Syria (1999- 2004). – The Design and Planning of Small Communities Housing and Facilities Urban Projects, Giza City, Giza Governorate. – Provision of Architecture Urban design & Planning Consultation Services to the Organisation of Touristic Development, Egypt, Protocol. – Pollution Control Project, Technical Support, Egyptian Environmental Affairs Agency (2002-2004). – Participation in a number of calls for consulting services provision in the realms of integrated architecture, urban design and planning studies. – Investment Counsellors, The National bank of Egypt; two Hotels at Sharm ElSheikh, South Sianai, Egypt. – Azizeya Investment Company assets and holdings. – Misr Romania Bank assets and holdings. – Hurghada International Airport Terminal Building, Structure & Function Performance Evaluation Studies, Egyptian Airport Company, Ministry of Aviation, Egypt ( 2003-2004). – Control & Reception Land Station, Misr Sat 1, Khattamia, Remote Sensing Organization, Ministry of Higher Education & Scientific Research (2003 -). – Covered Sports Hall, Design review and development, Tender documents and construction supervision, Mobarak Academy, Ministry of Interior, 1st Settlement, New Cairo, (2004). – The “Shura” Consultative Council Assembly Hall, Renovation & Development, Integrated design, tender documents and construction supervision (2004- ). – The AEDSC Publishing Unit, ArchCairo Architectural Studies, Scientific Refereed Journal, Department of Architecture, Faculty of Engineering, Cairo University. – “Upgrading Professional Practice for Architects & Engineers”, Intensive Programmes for Professionals, 6 Cycles/Courses (30 hours each), (2004-).